After living for more than three decades with an abnormal heart defect called congenital heart disease, award-winning pianist Paul Cardall received a miracle. His life was saved by a last-minute heart transplant. 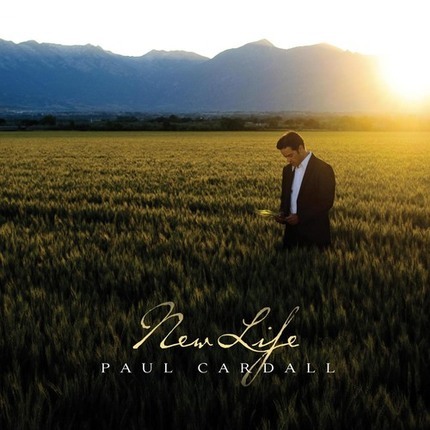 In New Life, Paul’s newfound gratitude and humility for life pours through his fingers into inspiring new compositions, played as only Paul can play them accompanied by beautifully lush string arrangements. Perfect for meditation, contemplation, or even casual listening, New Life will lift your day and enlighten your path. On the heels of his bestselling memoir Before My Heart Stops Paul’s new album is sure to be a favorite among fans of all ages. Included in each album is BONUS DVD featuring the Paul Cardall’s first live performance post transplant in front of a sold out crowd.